Kukui creates online marketing solutions for auto repair shop owners who want to take their business to the next level. Kukui's All-in-One Success Platform is helping more than a thousand repair shops take their business to the next level. Quickly determine how your business and marketing programs impact revenue with POS-Integration.Attract new customers with AdWords campaigns managed by a certified Google Premier Partner. Retain your customers with custom emails, postcard campaigns, and a brand new Follow Up Module. All in One Success Platform Reviews Recently Reviewed! Pros: Its easy to track where new customers are coming from (source), the web interface is fairly easy to navigate, and it follows up with customers regarding their upcoming service. I like the new follow up and "lost customer" reports. It has functionality we have not tapped into and that is mostly due to capacity on our end. The product is continually improving and going in the right direction. Our marketer is great and provides good feedback and helps analyze reports on a regular basis. Cons: Existing customers end up using the phone number they started with, so it looks like they keep coming from Yelp, Google, etc. I'd rather all existing customers call in on the same number. The system doesn't merge existing and new records consistently and it does not identify contact info the customer entered that doesn't match or doesn't exist in the shop management. Integration to ShopKey/Mitchell calendar and cars is poor. It is inconsistent in identifying inbound contacts as existing customers and mixing the names of customers up. Customers cannot identify that they want to unsubscribe just to notifications about a specific car, so they loose all notifications/reminders. Customers should be given an easy way to notify the system/us that they no longer own the car in the notification. Overall: Customer retention and perceived ease of use by new customers, so it probably helps with acquisition. We are able to see where new leads come from and spend efforts improving those channels. Kukui has been my partner for many years, both in CRM and in online marketing. Pros: Great SEO, website, and marketing ROI tracking. I like the ability to listen to past phone conversations and analyse our phone skills. I like being able to easily add new pictures and content to the website without calling someone. I like the follow-up feature, which is working great (a log for who gets a call, who got a call and what happened). I like the appointment reminder being sent by email and the thank you emails going out automatically and asking for a review. Cons: I think it would be great to have a more detailed and precise scheduled maintenance reminder going out to the customer, that is more tailored to the individual vehicle and customer driving profile. I think it would be great to implement a communication app or feature that show the shop to send and receive text messages to customers, and have it function the same as texting on the phone, except through kukui and allowing us to save The message thread...? George thanks for being such a great partner we have learned a great deal from you as well. Thank you for the feedback too. You will see some of the things you mentioned appear in the platform soon. Aloha, We have had our Kukui website for over 6 years and we are very happy with our partnership! Cons: Currently, our biggest negative, is the delay in response to request for support or changes with our website and the dashboard (But, we totally recognize we likely ask a lot more then most companies do! ;0) My interpretation is that this is growing pains with the growth of the company. Pros: The dashboard is easy to maneuver and has many nice features. Having multiple landing pages has really helped us out a lot. Adwords works well and has generated us a reasonable about of leads and Online appointments. I really like the Visual Appeal and Navigation. It is great to be able to do so many things myself. Cons: Text messaging is weak and cumbersome, need some improvement with the usability of that. The SEO and content development is pretty much non-extent, and although that isn't your real focus, users like me need some options with that avenue to improve our SEO. Sometimes the sales representatives are nothing more than a sales person and do not have the product or marketing expertise that they should to really help us. Overall: Most of my website presence handled. Awesome customer service, the product allows me to communicate with our customers very easy. Pros: The people who manage, update and train the product. 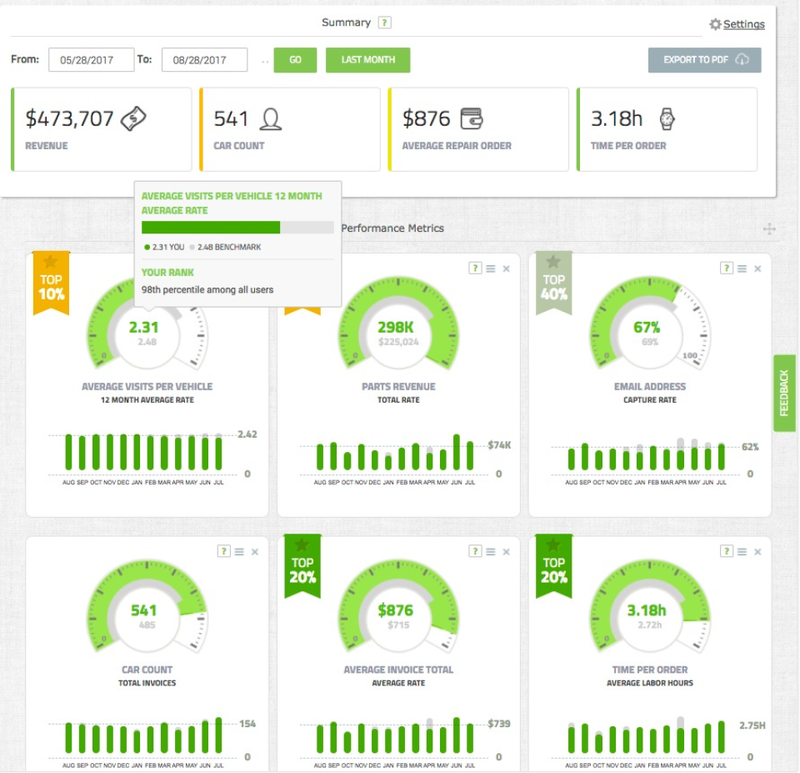 It's very easy to know what your business is doing by auditing your dashboard daily. I can train our advisors by listening to phone calls, I can find out what marketing is working to bring in new customers and existing customers. I can send recommended services out and thank you emails. Cons: Missing the ability to text customer. I would like to see small training classes at national trade shows. Best practices, how to use Kukui to provide greater customer service and increase revenue. Thanks for the review Joe. Glad that Kukui is working out for your shop. Thanks for the feedback too. I think you can expect to see most of this coming down the pipe in the next few months. We have been with Kukui for several years now and they just keep getting better! Pros: Very easy to understand dashboard. Great customer support. The reviews stick when they are posted with Google or Yelp. My customers are happy to respond to the questionnaire. Setting appointments and tracking customer follow up is accurate and easy. Cons: It would be nice to have an additional field in the appointment response section for on line requests that would allow us to respond with "other" for options besides confirm, or reschedule. For example, we might need to respond to inform that it is not something we do, or it would be better if they did not plan to wait with the repair. Overall: Our page has moved closer to the top of the searches in our area. We are consistently high with Yelp. Excellent for small business' to know where their numbers are at all times! Pros: We like the ability to track our phone calls, reviews, and our lead to customer conversion rate. This allows us to solve problems within our business that we didn't know were even there. Our guest's are happier with constant contact and our staff has a gauge to constantly stay on track and tools o understand why their numbers are low and where they can improve. Cons: The follow up module is an awesome tool when it decides to work right. We haven't been able to maximize it's full potential due to software issues but we hope that it will get worked out soon! Kukui has given us a professional platform for our website, making appointments, followup and more. Pros: That I still have access to make changes to my website and specials. I like export part of my database to send out mail pieces. Cons: I wish the monthly cost was a little less, especially if you have more than one location. I would like for you to be able to handle a little more custom request I have for our website. There has been a couple request that you could not do. Overall: I get a solid consistent, reliable and professional platform to communicate with my customers. I have had others companies approach me to get our business and I decline as your team really seems to care for their clients and works hard to stay up on new things. Great product, even better results, and the best customer service. Pros: love the internet presence it gives us . Daily we have people coming in that say they found us online. I know this is 100% from kukui. Kukui helped me establish myself as my own brand and as a partner with Napa. Pros: I loved the ease of the dashboard info to know where I was in a glance. If I needed deeper information, it was always very easy to navigate through the siet and retrieve. I LOVE my web site and logo! Cons: Only had a once per month call with my marketing contact and it felt random and not on a regular schedule. I wish it was more often and on a set date every month or two weeks. Although the calls were very informative. Overall: New brand that is all my own and a wonderful customer retention tool that was more personalized and informative to my clients. Thanks Kathleen. We have really enjoyed working with you and your team getting your new site out there. I also appreciate your feedback about your monthly meetings. It is important to us that things are more predictable as well. Pros: The thing I like most about the software is the lead matching and call tracking. It makes it easy to see what advertising dollars are and aren't working. I also like how the control panel allows easy access to important business metrics in an easy to understand fashion. Cons: I would like to see more work put into reviews. Reviews captured on the website are OK, but not near as beneficial as reviews captured on sites like Yelp and Google. This may be something that needs work on our end and we will be working on this in the near future. Overall: We have benefited from lead tracking and matching to allow us to see which advertising dollars are working for our business. 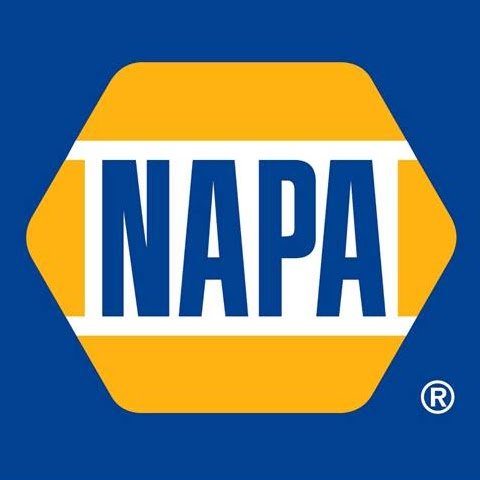 Best in class for helping independent auto repair shops manage their KPI's and online presence. Pros: The online appointment system is big with our mobile client base. Our clients can make appointments at their convenience, and we can answer them without a phone call. This helps maximize our Service Adviser time and keeps an electronic paper trail. Cons: I would like to see a greater interaction with Google, Yelp and other review based sites. The reviews we receive from the website are great, but they do not influence new clients like Google or Yelp. Love it . Easy to navigate. Sorts of reports for making our necessary follow calls . The all in one pricing makes their services complete for clients, no EXTRA fees! Pros: The software keeps our web presence maximised and the customer service allows us to understand the process. Cons: The exchange rate for Canadian clients hurts. Perhaps opening a Canadian office would make your product much more attractive to potential Canadian clients. This is the only "con". Overall: Better tracking of customer data. regular sessions with our rep keeps us on top of our information. Kukui provides so much more than a website. The entire platform is amazing. Pros: The dashboard is a tangible tool to help me maintain my customer base, improve performance, measure profitability. Cons: I would like to be able to text updates to individual customers while their car is being serviced or repaired. Overall: It is an integral tool in assessing our customer base, phone calls, leads, ROI, web-site, coupons, communication..... This web-site and platform does almost everything. Pros: Our website looks very nice and is user friendly, exactly what we are looking for. We get to pick and choose what we want and they design, and even coupons. Very happy with this service. Thanks for trusting Kukui with your website. Pros: Adaptability. I love that we can make changes immediately that reflect the operational enhancements. New pictures, hours of operation etc. Adaptability. I love that we can make changes immediately that reflect the operational enhancements. New pictures, hours of operation etc. Cons: Have discovered some mapping inconsistencies that should not have happened for the length of time until my discovery. 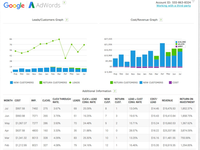 Overall: In depth marketing reports and the data. The ability to tweak offers and update simply. Pros: Customer database is easy to understand, maintenance scheduling and vehicle tracking are a great to use. Cons: It would be helpful to see a much more interaction with Google, yelp and other review based sites. The reviews i receive from the website are great but they not influence new clients like Google or yelp. Kukui has been a wonderful tool to help manage and get the most out of our business. Pros: It is easy to use, has great graphs and charts full of helpful information, and the staff is very friendly and attentive. Cons: I wish they could integrate more of my shop's operating system, however each month they add more features and integration. Overall: Easy to access and understand data, clean design, helpful and friendly staff. KUKUI IS VERY EASY TO USE AND NAVIGATE. Pros: THE DASHBOARD THAT UPDATES ME ON OUR PERFORMANCE MONTHLY GOALS. ALSO THE MISSED LEADS SECTION TO MAKE SURE WE DON'T EVER LET A MISSED EMAIL OR PHONE CALL SLIP THROUGH. Overall: BEING ABLE TO TRACK OUR CUSTOMERS NEEDS AND UPDATE THEM WHEN SERVICES ARE UPCOMING AND NEEDED. ALSO SEEING WHERE OUR NEW CUSTOMERS ARE BEING GENERATED FROM. Lindsey is very responsive and they have created a terrific customized CRM platform for me. Pros: I can regularly reach all 4000 people in my customer database without lifting a finger and if I need any customization they can program it for me within a day or two. Also, my representative is very responsive to me and I can reach her virtually any time during the day and get a response back. Cons: I actually have nothing to criticize about the platform. I am very very happy with it. About the only thing I could say is that it took a few weeks longer to set up then we anticipated, but it was mostly because of the shop management software I was using and not Kukui. Pros: The product really works, the support staff and leadership works very hard to help our business grow. Cons: I wish they had a better product to help generate more Google, Yelp and Facebook reviews. Other then that issue Kukui is awesome. Everything in one package. Easy to use, great dash board. Pros: Have someone who knows what to do helping you out, You get a great return on your investment. Great website. Customer retention and acquisition options are superb. Customers find it very simple to use. There really isn't much that I can complain about. This is ok, it functions well, but I feel that it is a bit overpriced. Pros: Our contact is easy to work with and prompt at getting answers for us. I am able to adjust minor things on our site as needed. Cons: It is very clunky. There are some things that I think could be easier to use when updating the website. There have been some basic needs that we have not been able to get answers to. While we like working with our representative, because she is not "website" trained, some of my questions don't make sense to her so it's sometimes a challenge to get answers. Overall: Our website is built for us so we don't have to do it ourselves. Some of the customer tracking is beneficial. Pros: Pros: Monthly meetings with account rep. Innovative. Works well. Excellent customer service all around! Pros: The analytics are amazing, this feature truly helps guide us with decisions we make with regards to advertising and tracking who we do spend our advertising dollars with. Pros: Kukui is easy to use! The team at Kukui is great to work with and extremely well versed not only in websites and SEO work but also what works in the automotive industry! I highly recommend! Sales are up because people are finding us and are impressed by our website. Pros: Being able to track metrics of previous months with ease. 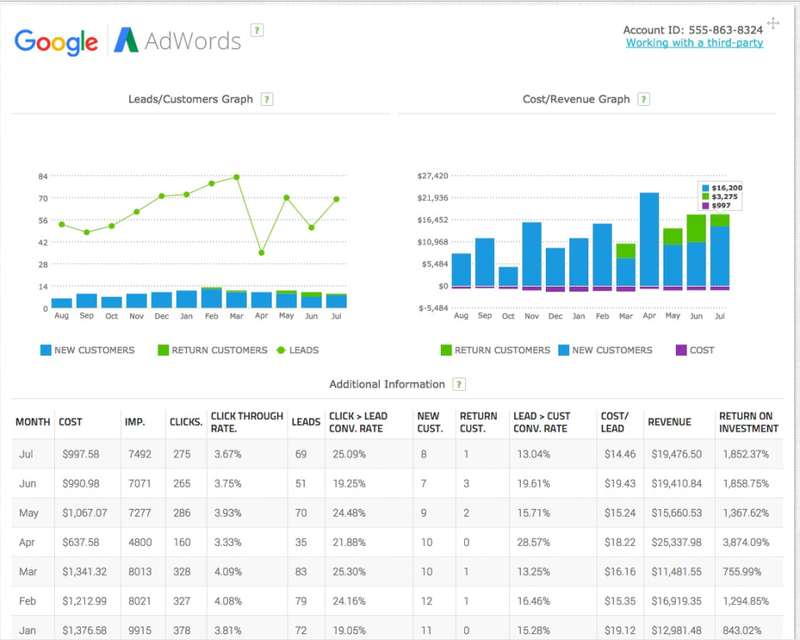 How it works well with Google Adwords with custom landing pages. Ease of making changes. Cons: Can't edit out going email reminders. Things getting done while I sleep !!! Pros: Customer feedback and all the different tools that show us how we measure up. Cons: Sometimes info that is sent to me goes straight to trash, and if I'm not watching I might miss good info. The one time putting all your eggs in one basket pays off! 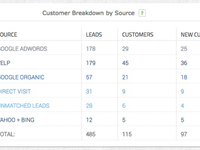 Pros: Bundling all your marketing data into one dashboard makes it so easy. Margie is great! I enjoy going over our data monthly with her help. After trying other options this is the best! Cons: It does so much I forget about some features. I am not good at marketing so creating emails to generate interest is not my favorite. Pros: The Dash board has a lot of great information and tracks information that is useful. Email marketing is great to have service reminders, thank you's, and recommended services go out. Cons: The support from account managers. The customer service is not what it used to be when we first started with Kukui. Account managers should have the basics down to know where the locations are, what they perform and how to generate more business for the customer. Adwords should be related to the business and what drives customers to search for them. Should not be paying for "Arizona emissions repair specialized in OBD1". We have been through 3 account managers in 2 years, and each time it takes 2 months for the next to familiarize themselves with the locations. I pay for a service to be done by professionals, because I am am not in this field. But I expect more than what I am getting. Kukui is not only easy to use, it provides a huge array of features! Pros: Kukui makes it so easy to access all the information for your business all in one place. 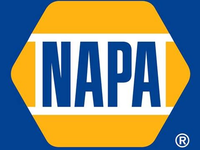 They help manage customer accounts, used cars, our website, and the cost is right for our company. Cons: The only thing i have an issue with is sometimes my pictures for the used cars don't load through all the way, but this is resolved with a email to my rep or to tech support. Overall: it is easy to keep in touch with our customer base, send out specials, see the day to day of our business and run our website. so far my experience with kukui has been very positive. Pros: the customer support is great. the amount of data that is readily available in an easy to digest format is great. Cons: switching from panel to panel can be slow and unresponsive at times. refreshing the page helps. I can't think of anything else at the moment. 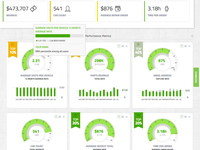 Overall: We can get a quick overview of our performance compared to previous performance. The ability to sit down with our service writers and let them hear themselves on phone calls has made huge improvements in how they work with customers on the phone. 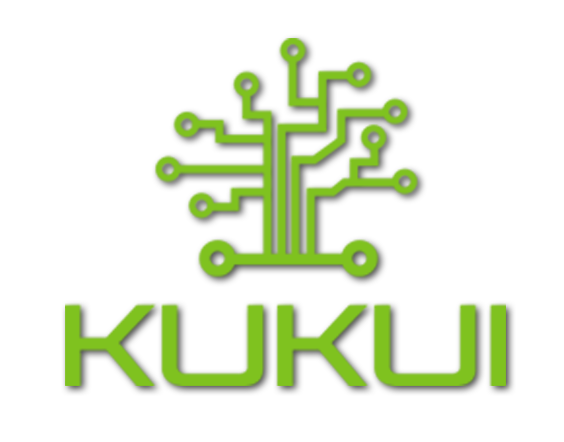 My shops were early adopters to the Kukui platform. I can imagine life without Kukui! Pros: The information on the dashboard allows my management team to make clear, accurate decisions on how we spend our marketing dollars. Pros: I gave five stars because Kukui deserves it. I have a high ranking website and changes are quick and seamless. Cons: I don't like that Kukui uses a tax total on the Dashboard. Repair shops that track their numbers, do not include taxes or shop supplies in our calculations. Applying tax and shop supplies efffects the bottom line and average RO. Hi George. We really appreciate your support and your great feedback. What you pointed out makes sense. We will get in touch to better understand the tax reporting issues. Cons: Email Communications- Sometimes when wanting to change something or make a change it google adword there is not alway great commuication. Very robust site and helpful staff. Cons: It's a lot to learn. But that's a good thing too! It's dependant on emails exclusively for customer contact. When I started with Kukui I did not have any experience with the back end of websites. Now I do. Pros: The simplicity of how it is laid out and the help (?) dropdowns are very straightforward. Customer support has always been top notch and so responsive to all my requests and cries for help. Cons: I do not have any other software to compare it to. My only complaint is that sometime the options to edit, save, discard are faint and maybe if they were darker that would be helpful. Overall: Knowledge of the back end and how to do it myself. 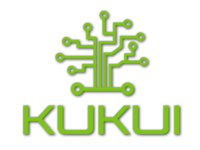 Kukui has been a great platform for us. Cons: Not a whole lot of issues with the control panel. The price seems a little higher than I'd like. That's my only complaint. Overall: All in one platform instead of having three differnet providers. My representative is very attentive and is always available. Pros: Dashboard is easy to navigate. I love how I can measure success of certain campaigns by using the filters. Also, listening to our phone calls has really helped to train our staff how to turn leads into customers. Cons: I would have to say I just like that it shows three-month average by default. I would rather look at last 30 days per month by month. Overall: Just knowing how well my marketing is working has made a huge difference in where I spend my money. Great company! Very user friendly and easy to customize to our needs. Pros: I like that it does everything behind the scenes without us having to think about it. We get busy and don't have time to folllow up with customers as much as we'd like, Kukui does that for us! We use it for so many different things, and it helps with customer management so much. Pros: I like the scheduling functions and the ability to listen to recordings. It helps to manage my staff and customers. The ability to track all of the data and run reports is useful, as well. Cons: The dashboard is a little difficult to navigate, but operable. I would prefer if there was an easier way to do rescheduling if an appointment is not available. Pros: Control Panel is very user friendly. Makes it nice for those of us that aren't so computer savvy. The layout and design make it easy to review information. How the feedback information is broken down is great too. We love the customer review/feedback aspect of the CRM material. Cons: There are a lot of options for integration, which is good, but kind of cumbersome to navigate at first. There are some areas that have direct links, but take you to a section of a long page instead of it's own separate area. Overall: Customer contact and review information is great. Website design is incredible. The customer service team is very knowledgeable and always willing to help. The training sessions are very, very helpful! Kukui has helped us organize our business. It brings everything under one easy to use website. Pros: The ease of use of the product is like nothing we've used before. It allows me to pull up a summary of everything I need to see right on the home screen. Cons: id say that my least favorite thing about kukui is the inability to add appointments to the schedule manually if they were scheduled by phone or email. We are very happy with Kukui especially with the customer service. Pros: since I am not terribly experienced with these programes it is important that it be easy to use and understand. I find Kukui to be a great fit for our shop. Cons: there have been a few times i would like more ease with texting directly from the program, otherwise I can't think of any negatives. Overall: new customers. Ease in reaching out to existing customers. There are a lot of things done very well and a lot of areas that could be drastically improved upon. Pros: That Kukui allows me to manage the majority of my marketing from one place. I like knowing where my customers are coming from, how much they're spending with us, the real time database integration accuracy & ability for me to easily calculate our ROI. Cons: There's a lot of really good information and access to particular attributes, but there are a decent amount of features that would be beneficial to have that they don't include. It's fairly user friendly, but for people who what to dive further into the inner workings of the data, it's often too shallow or basic. Overall: Tracking, data analytics, reporting, call auditing, email, website & special control. Better marketing management from one consistent platform.